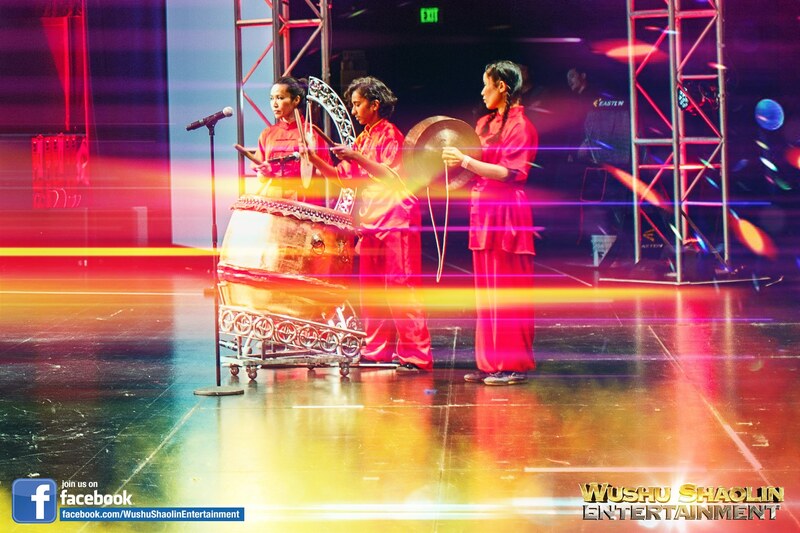 On behalf of a private residence, Wushu Shaolin Entertainment was invited to produce a rare Chinese cultural presentation. 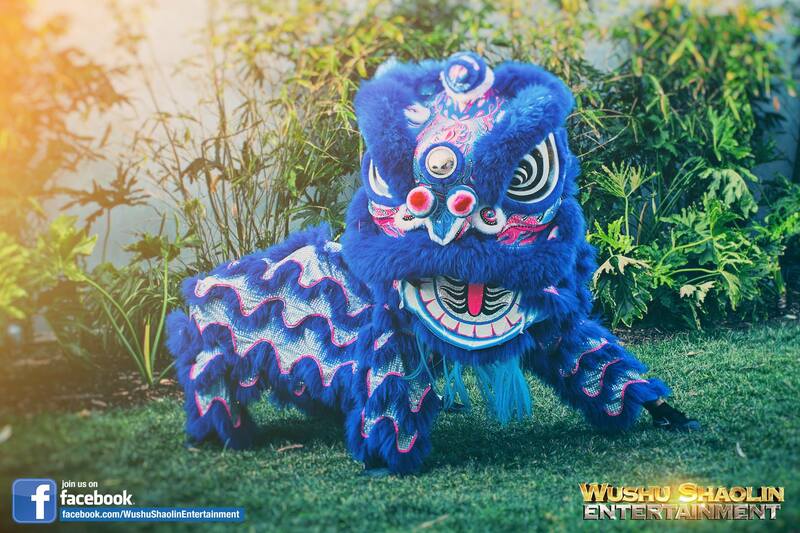 The Chinese traditional Lion Dance is revered for promoting good luck and prosperity for everyone. 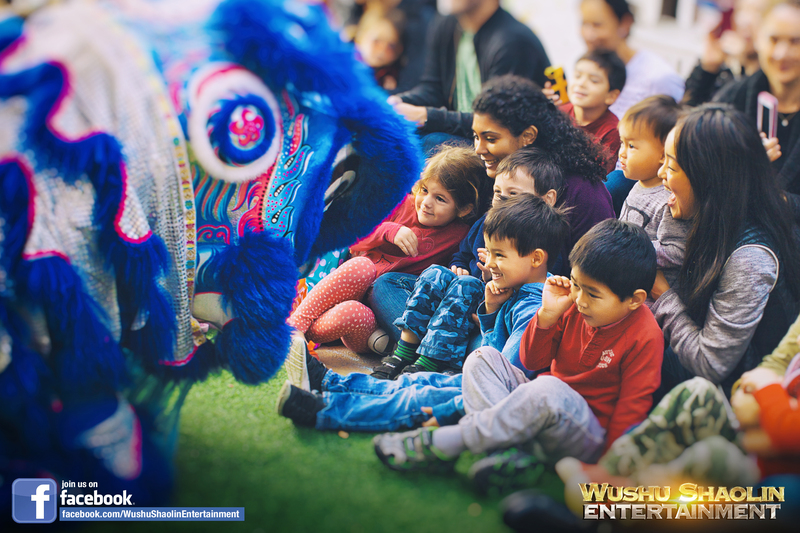 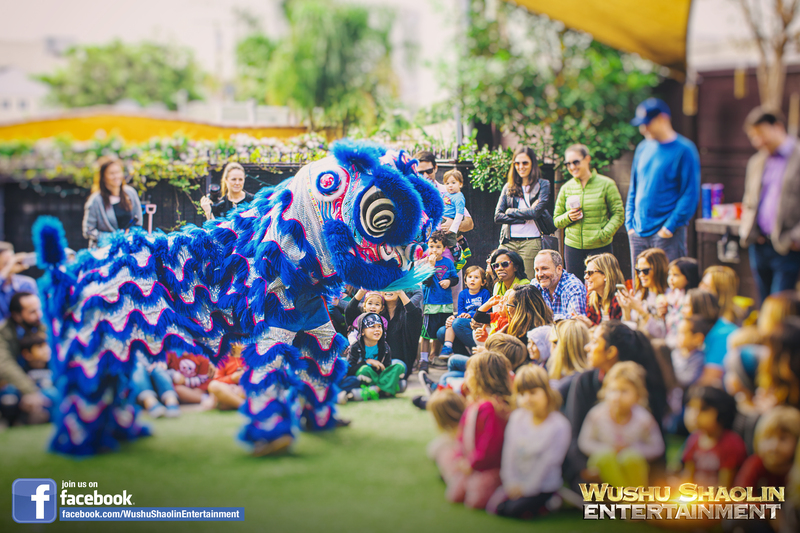 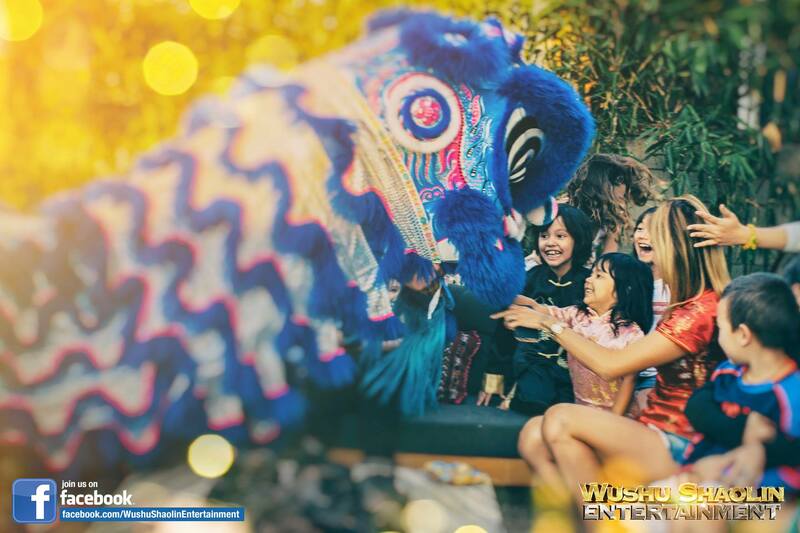 Wushu Shaolin Entertainment was invited to perform the traditional Chinese Lion Dance on behalf of a private residence in Venice Beach, California. 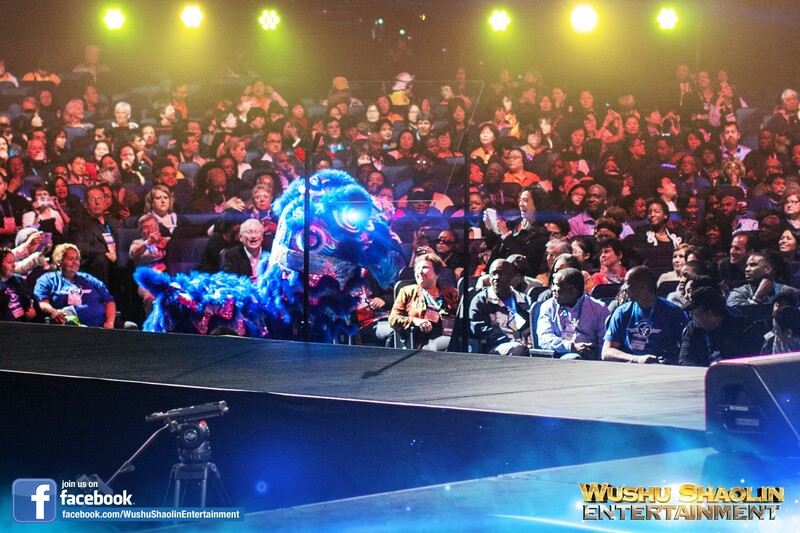 The venue was a stunning home called the Appleton. 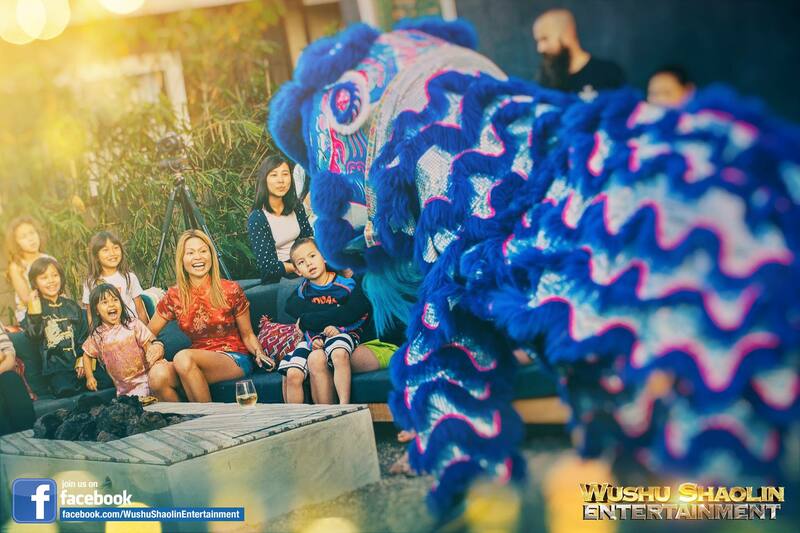 Developed by Mario Romano, the appleton blends beauty with energy efficiency, and features amazing views from every room, modern Miele appliances, providing efficient energy usage and superior thermal comfort. 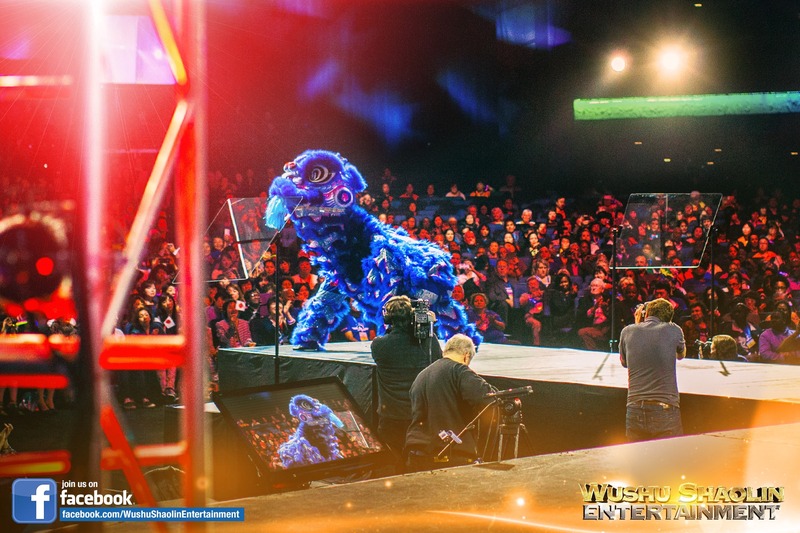 There is nothing more compelling than inspiring humanity to develop the courage of a lion and accomplish great success in life. 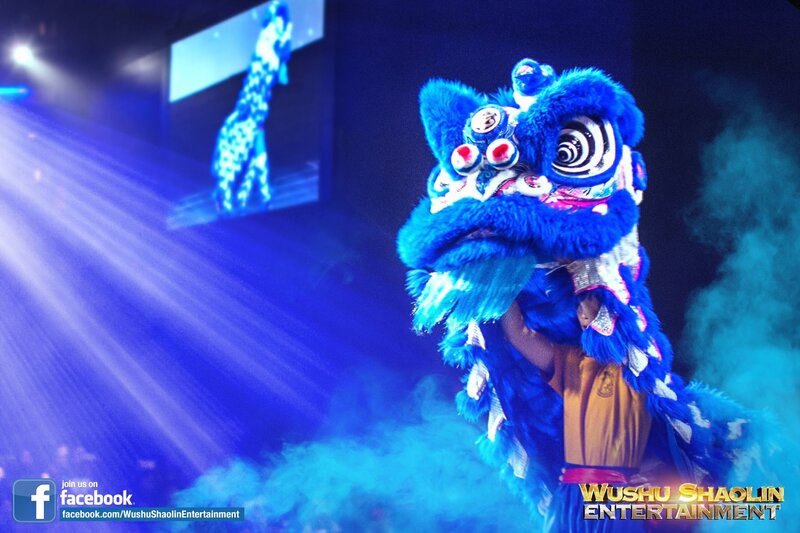 The presentation was a unique experience featuring a new Lion Dance costume with unique artistry and color schemes. 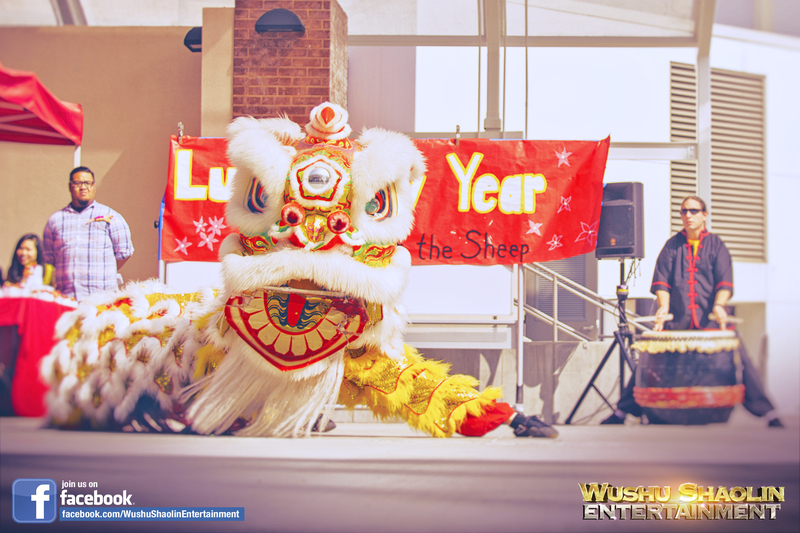 In addition to the Lion Dance, a Wushu performance was incorporated into the show, featuring spectacular weaponry and acrobatics. 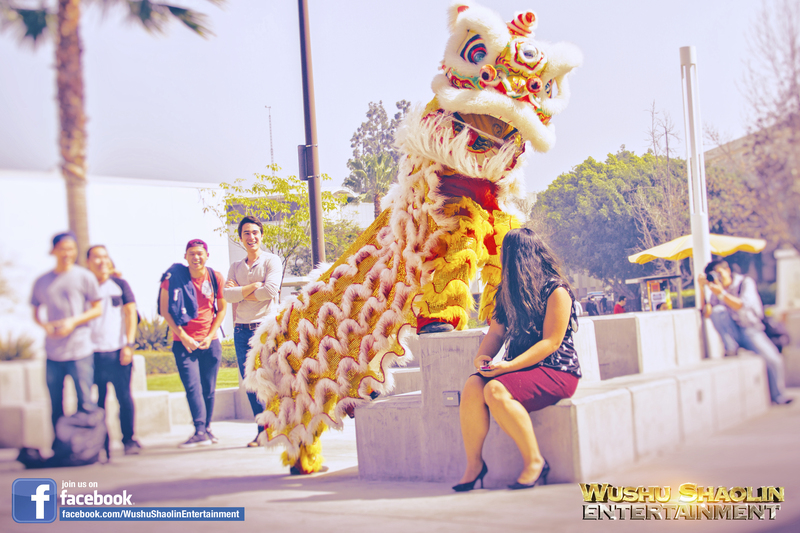 There is nothing more compelling than inspiring humanity to develop the courage of a lion an accomplish great success in life. 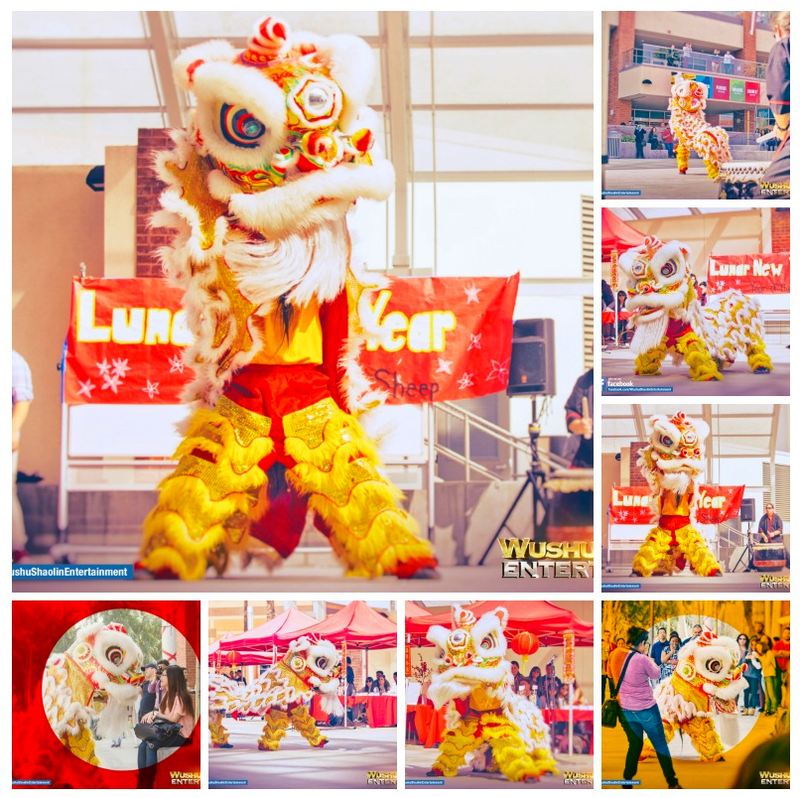 For countless generations the Lion Dance has served as a symbol of courage and hope for all. 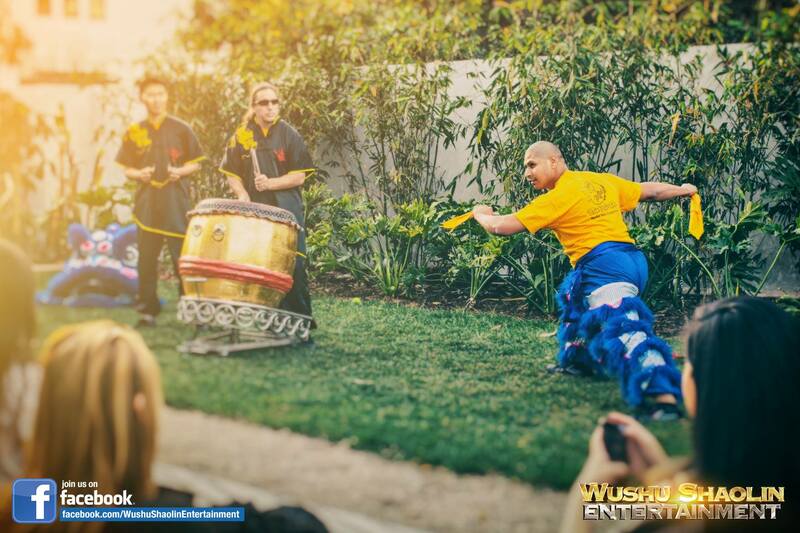 Wushu Shaolin Entertainment is proud to continue passing down the traditions handed down for so many generations. 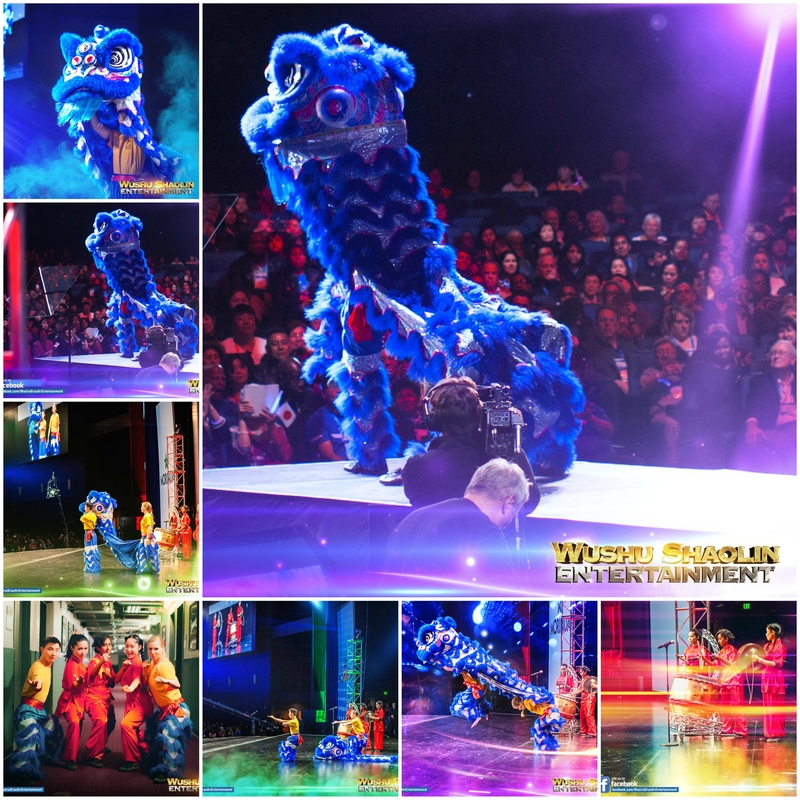 The presentation featured the premier Chinese Lion Dance team in the industry and a unique Kung Fu performance. 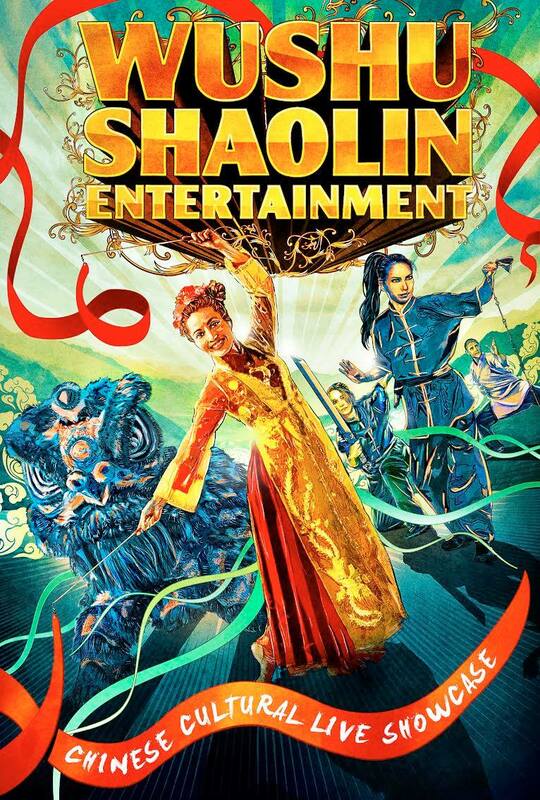 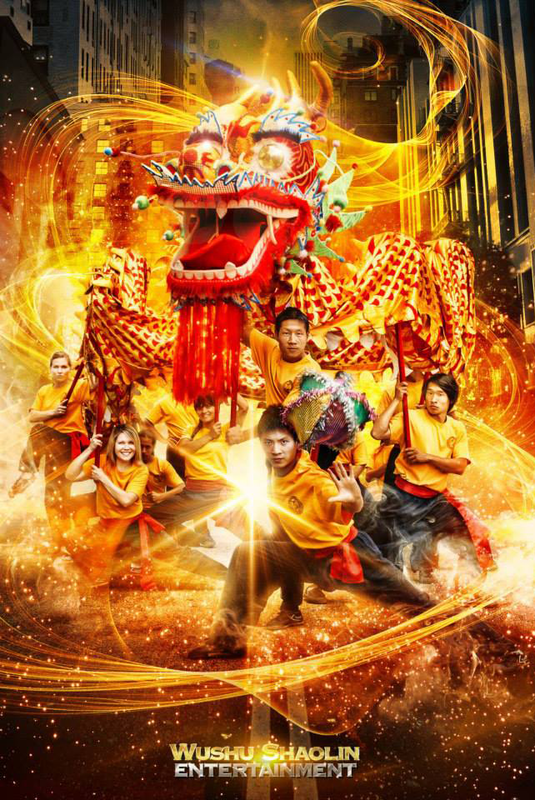 The Chinese Lion Dance is an awe inspiring presentation featuring stunning artistry and eye opening excitement. 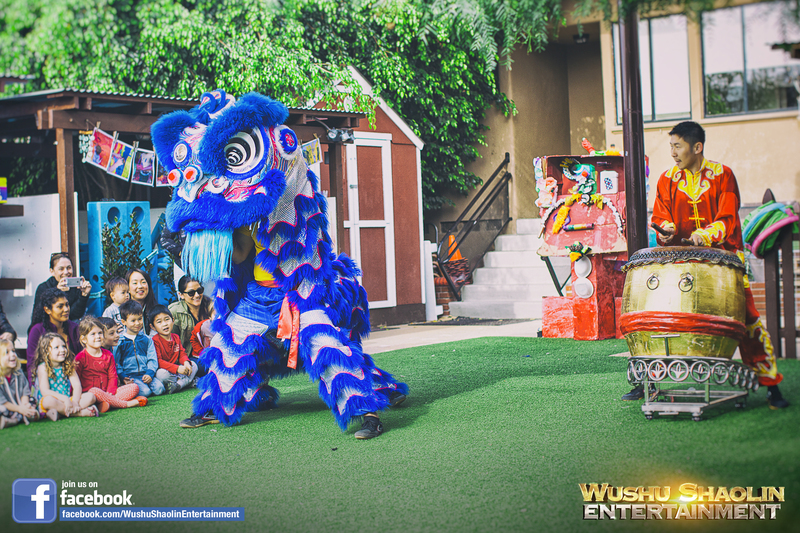 From children to adults, there is nothing more compelling that the Chinese Lion Dance to celebrate the Chinese Lunar New Year in Los Angeles. 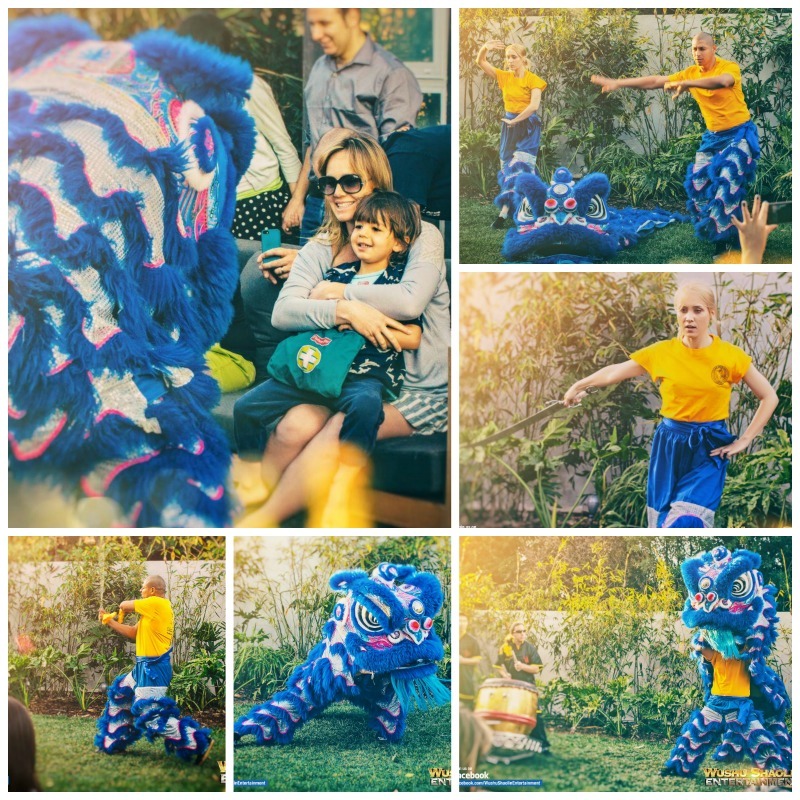 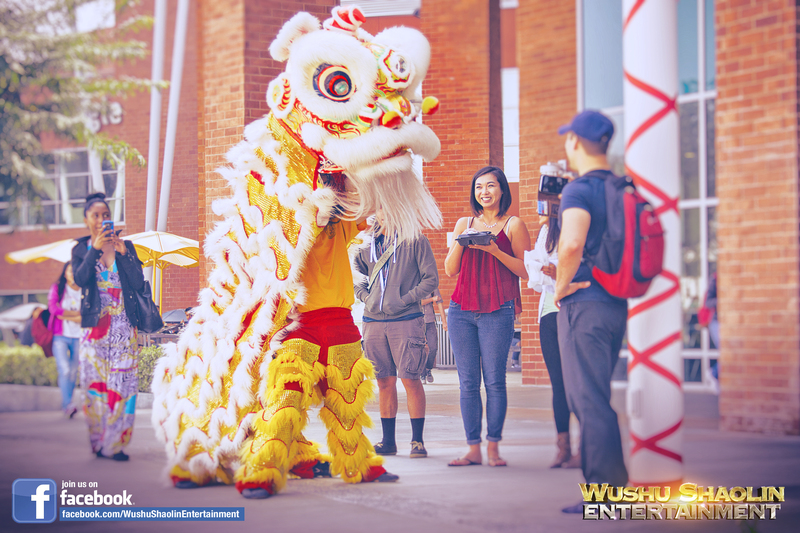 The photographs in this article are testimony to the joy experienced by all, during the Lion Dance presentation.